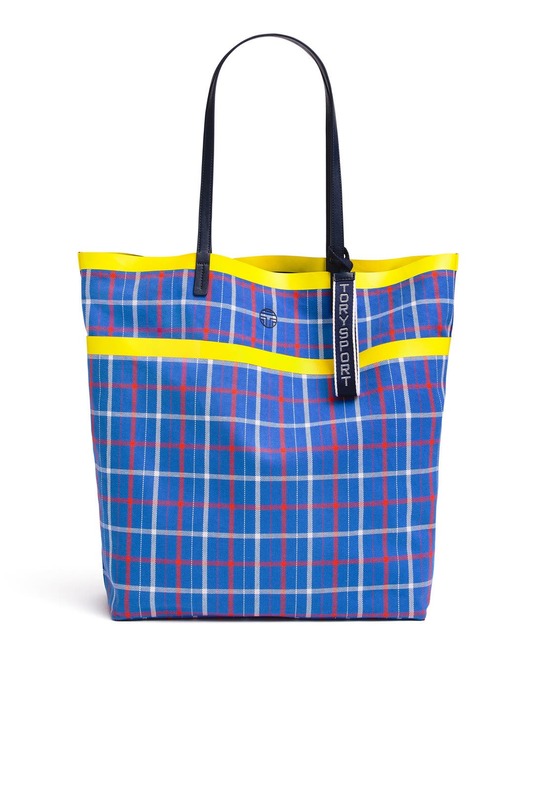 Two cool looks in one, this spacious Tory Sport tote is a playful look for running errands or weekend outings. 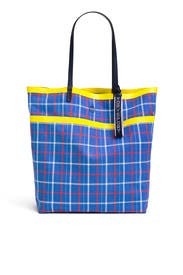 Large blue plaid printed tote with zip interior pockets. 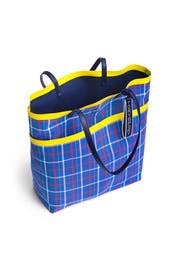 8.25" shoulder strap drop. 12.5"L x 15"H x 7.5"D.